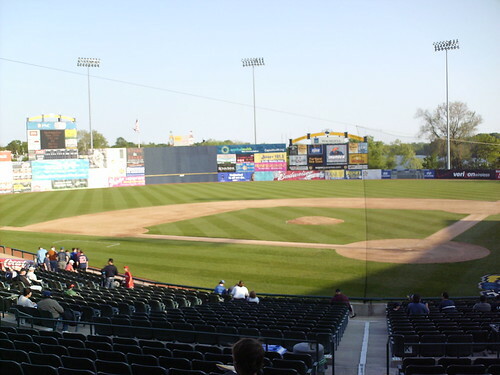 The outfield at Arm & Hammer Park is fairly uniform. The wall looks huge, but the home run line is about 1/4 of the way up the ads. 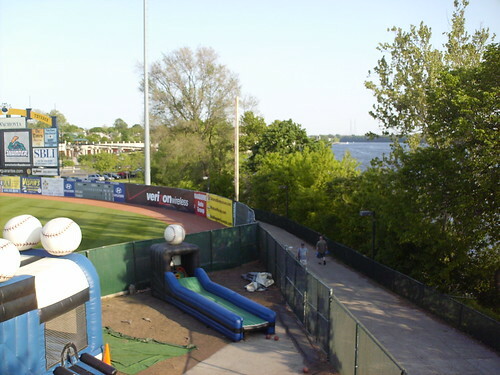 The Delaware River beyond the right field fence at the former Waterfront Park. 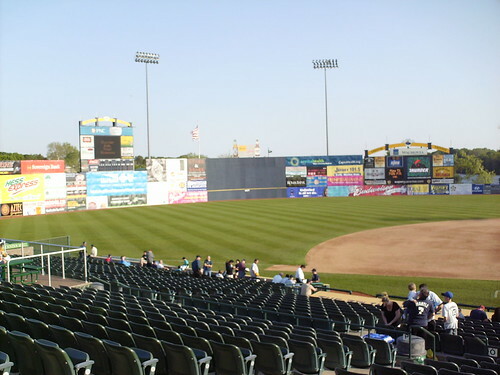 The grandstand at Arm & Hammer Park. 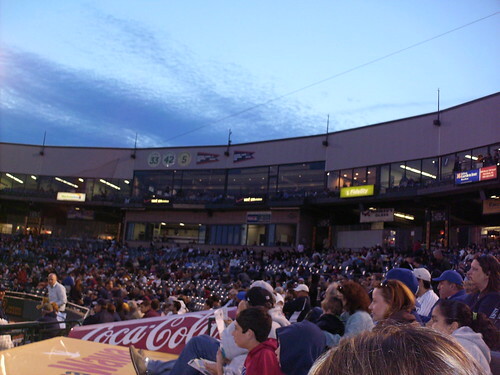 Retired numbers over the pressbox are for Jackie Robinson and former Red Sox players Tony Clark and Nomar Garciaparra. 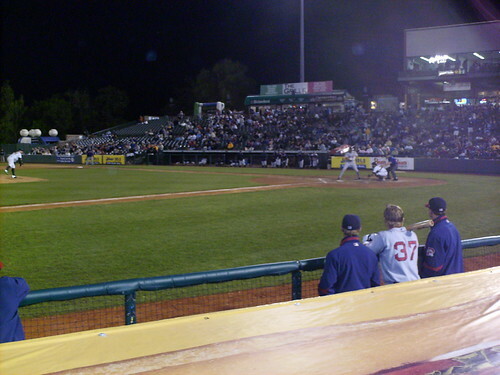 The Portland Sea Dogs at bat at Arm & Hammer Park.